No FireWire 400 Port on Your Computer? 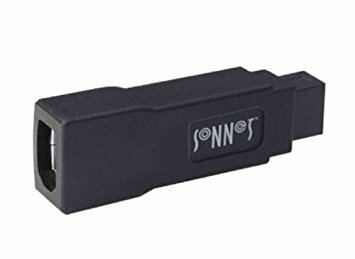 Sonnet's FireWire 400-to-800 adapter makes it easy to connect your FireWire 400 (1394a) peripherals to any Mac or PC computer with FireWire 800 (1394b) ports, without the trouble of purchasing yet another cable. Which cable to get? What length? 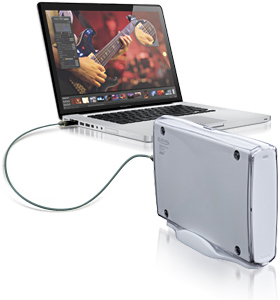 Why bother—use your existing FireWire 400 cables with this simple adapter from Sonnet to connect devices to a FireWire 800 port. Just plug it in between a FireWire 800 port and a standard FireWire 400 cable's 6-pin male connector (the other end of the cable plugs into your FireWire device). It can't get any simpler. 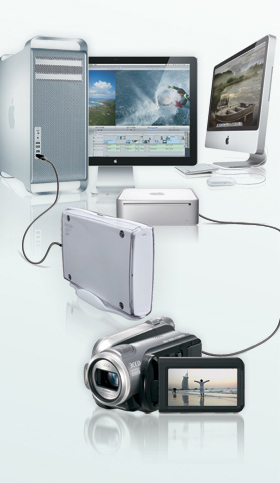 Sonnet's FireWire 400-to-800 adapter makes it easy to connect your existing Firewire 400 peripherals to the latest computers with FireWire 800 ports.